Petrol in diesel – it’s a mistake some diesel owners do make and, in the 90’s, a problem we’d see weekly. Today, it’s even more common thanks in part to Australia’s love for diesels. Petrol is contamination in a diesel fuel system and there is no sure way to tell what the internal damage is unless you have x-ray vision. The result, however, can be catastrophic. It can lead to the destruction of the fuel system or the engine and there is even the potential to result in a fatal accident. In my 27-year career, I’ve witnessed failures that have resulted in court cases 12 months after the incident initially occurred. The fuel injection system in a diesel engine works on hydraulic principles. It requires the fuel to be of the correct viscosity to enable full operation, lubrication and temperature control to provide the correct fueling for the engine. Petrol’s lubricity is far less and does not have the hydraulic capabilities to operate the diesel injection. Its high octane is not suitable for a diesel’s fine tolerance of 0.004mm ‘less than a human hair’ moving components. What do I do if I’ve put petrol in my diesel? The petrol must be removed before the engine is started. It can create high friction temperatures causing premature failure of the fuel system. Sometimes, the engine will run with petrol but when it becomes greater in volume, the engine will shut down due to low pressure. By this time the petrol has entered the engine which will contribute to actual engine failure. What damage can I expect? Damage can occur to the high-pressure pump and injectors when the engine has been idling or driven only a couple of kilometres. When the engine increases rpm an increase in temperature follows and, soon, hot spots appear on the internal metal components. The chance of failure is greater than ever. In some situations, the vehicle will either shut down or worse, rev out of control causing catastrophic damage to the fuel system and engine components. Can the system be cleaned without further problems? Unfortunately, not. There have been systems that have been cleaned, restarted and run. Many have resulted in major failures and I would not condone this action. The risks are high, and I’ve witnessed failures costing owners or the workshop in excess of $15000. However, the money may be the least of your worries. The engine can over-rev or lock up leading to the possibility of the driver losing control of the vehicle – a scenario that can result in injury or even a fatality. The cleaning of a diesel system is only successful once it has been confirmed fuel has not passed the filter. The engine must not have been started, or the in-tank electric pump operated - some of these pumps pre-prime when the driver’s door is opened. The mechanic must also confirm the petrol has not returned from the high-pressure fuel system. Once confirmed, petrol can be removed and cleaned from the tank and lines, the fuel filter replaced, and the vehicle refilled with diesel. This can take several hours so you will incur some costs. 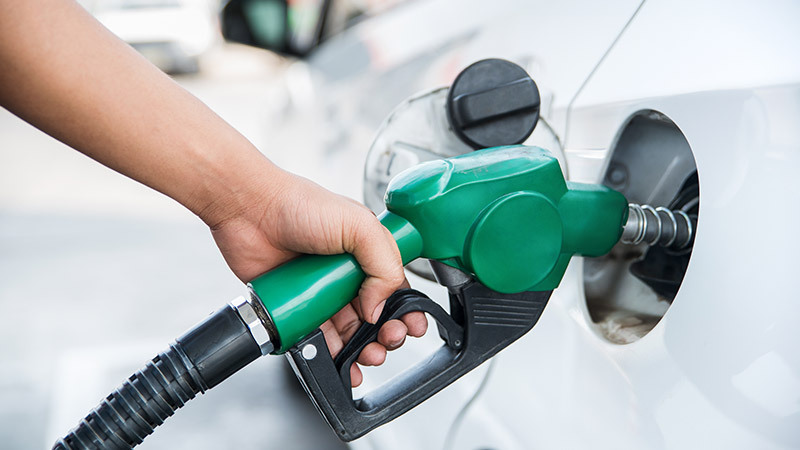 The best way to avoid the cost, and the potential hazards, of putting petrol into your diesel is, of course, prevention, which is always cheaper than a cure. So, be careful! If you’ve put petrol in your diesel vehicle, your best bet is to get it on the back of a tow truck and down to your closest mechanic. You can quickly and easily search and book a mechanic near you with AutoGuru. Clinton Brett is a qualified Heavy Vehicle Mechanic and Diesel Fuel Injection Specialist. In 2013, he established Diesel Help Australia, an innovative business providing cost effective diagnostic and repair solutions for the automotive industry. DHA delivers on-vehicle common rail diesel diagnostic training across Australia to the light and heavy industries. Clinton is a Technical Writer for The Automotive Technician, Australian Workshop Manager and Australian Diesel Mechanic Magazine, as well as the Diesel Guest Speaker for the AAAA Conventions for the last 3 years.